Genestar™ is a proprietary polyamide resin (PA9T) developed from unique C9 monomer. It has high heat resistant and low moisture absorption. It is thermally and dimensionally stable which makes it an excellent for moulding. Its high mechanical properties such as weld strength, toughness and abrasion add further to its performance. What’s more? It is rated as Class 0 (PLC) for tracking resistance and has RTI (electrical) of 150°C. 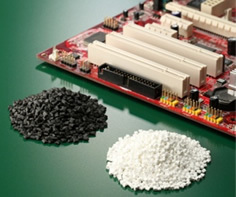 Genestar offers high resistance to chemicals when compared to other high temperature polyamide.